Will the EU adopt the correct firm policy vis-à-vis Iran’s regime? Jan. 19, 2019 - The European Union is beginning to realize how relations with Iran’s regime is backlashing. Despite going the distance to sign a highly flawed nuclear deal back in 2015 and multi-billion dollar trade deals with the mullahs, European officials are seeing the Iranian regime continuing its malign ballistic missile program and specifically carrying out terrorist plots in their countries.  In March of last year, Albanian authorities arrested two individuals with ties to the Iranian regime on charges of seeking to bomb a gathering of the Iranian opposition People's Mojahedin Organization of Iran (PMOI/MEK) near the capital, Tirana. In late June, Belgian, French and German authorities were involved in the arrest of an Iranian-Belgian couple seeking to bomb the annual National Council of Resistance of Iran (NCRI) rally held near Paris. An Iranian diplomat, Assadollah Assadi, was also arrested on charges of providing the 500-gram explosive to the couple. In October, Danish authorities arrested an Iranian man on charges of plotting to assassinate an Iranian dissident living in Denmark. All this goes alongside ballistic missile tests by the Iranian regime and a recent so-called satellite vehicle launch that ended in failure. Analysts believe this is a cover for the Iranian regime’s ongoing pursuit of a highly dangerous intercontinental ballistic missile program. The EU has recently imposed its first set of sanctions against the Iranian regime following the 2015 nuclear deal. Although considered largely symbolic, there are increasing concerns among senior Iranian regime officials over this sudden change in the Green Continent’s approach. Questions are being raised in Tehran over the message of such a move and possible scenarios for the future. This unprecedented shift bears the potential of resulting in heavy consequences for the Iranian regime as its entire apparatus is in desperate need of life support in the face of increasing U.S. sanctions. Iran’s regime is now feeling further isolated, even from the Green Continent. While these initial steps are welcomed, the European Union has to once and for all realize the Iranian regime is a dangerous entity threatening the lives of not only the Iranian people, but also Middle East security and beyond, including Europe. Any appeasement with Tehran is a green light for the mullahs to continue their domestic crackdown/human rights violations alongside warmongering. As explained by Iranian opposition President Maryam Rajavi, Tehran’s mullahs use their embassies abroad as launching pads for their espionage, assassinations and terror attacks. The Iranian regime’s diplomats are involved in terrorism and espionage in #Europe and the U.S. They are disguised as diplomats, journalists and interpreters and have diplomatic facilities at their disposal.